Today is a bit overcast and cool here on the Seacoast in contrast to one week ago when the weather was picture perfect: sunny, warm and clear. Last Thursday I simply had to get outdoors, so embarked on an art-filled excursion. 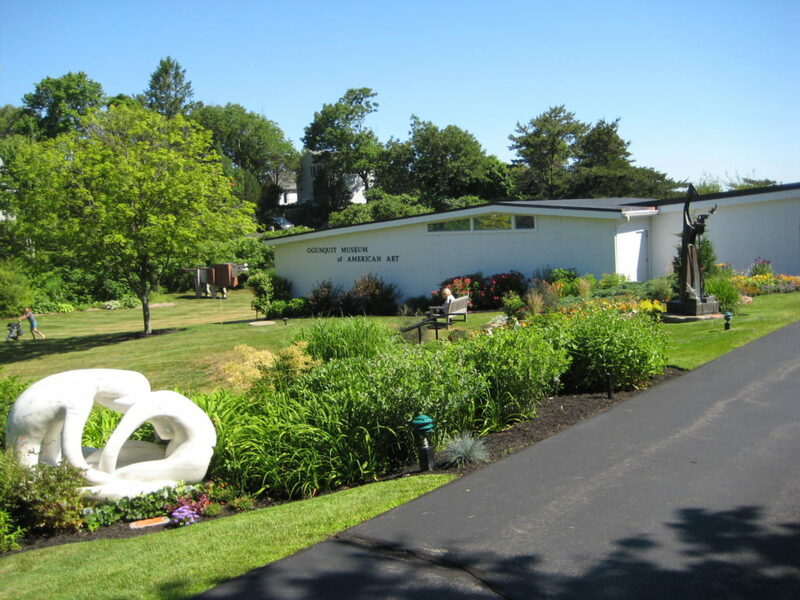 I drove the “long way” through Kittery Point, York Harbor, Long Sands Beach, York Beach and Cape Neddick to the Ogunquit Museum of American Art which sits perched overlooking the Atlantic Ocean amidst beautiful flower and sculpture gardens. Soaked up two new exhibits: “Jamie Wyeth: Private Collection” and “Bernard Karfiol: Ogunquit Master.” I especially liked, no, loved, Bernard Karfiol’s work, all of which is new to me. Reminds me a bit of Leon Kroll’s work. Also included in the exhibit are some of Karfiol’s sketchbooks. This glimpse into the artist’s process is something I always enjoy. 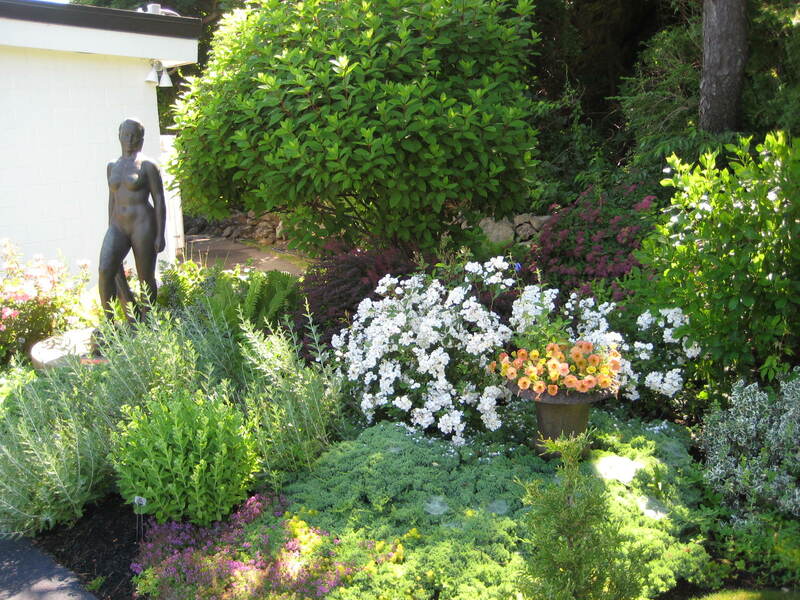 Lingered in the gardens. 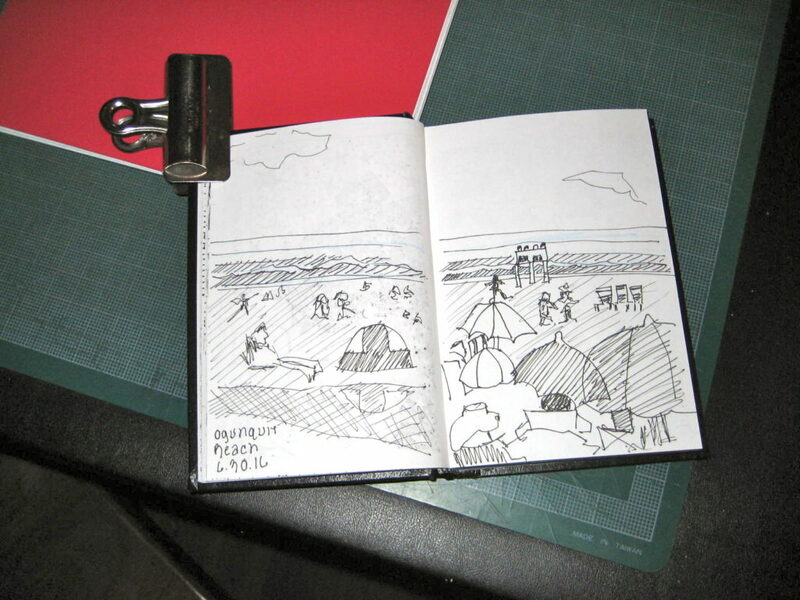 Then headed over to Ogunquit Beach, found a free 30-minute parking space, and sketched for a bit. A soul satisfying and art-filled morning!